Hee Haw debuted in 1969 as the rural answer to Rowan & Martin’s Laugh-In, and while Laugh-In lasted two years longer on primetime network television, anyone who’s recently watched episodes from both shows knows that Hee Haw got the last laugh. Laugh-In’s gags were way too topical and tied to the news, or else they were silly catch-phrases that have long since lost their funniness. Either way, the show isn’t nearly as funny today, and you can bet your sweet bippy on it. Doctor: I hate to tell you this, but your wife’s mind is gone. Male patient: Well, that don’t surprise me. She’s been givin’ me a piece of it for the past 20 years. We seem to have entered a new era of live-action Disney remakes of animated classics. After a 2014 revisionist Sleeping Beauty story of Maleficent that divided critics, a trio of remakes—Cinderella (2015), The Jungle Book (2016), and Pete’s Dragon (2016)—fared nearly as well with reviewers as they did at the box office. More live-action remakes are in the works: The Sword and the Stone, Dumbo, Pinocchio, Alice and Maleficent sequels, Cruella (an attempt to improve on the 1996 101 Dalmatians flop), Winnie the Pooh, Mulan, Tink (a Peter Pan spinoff), Prince Charming (a Cinderella spinoff), Genies (an Aladdin prequel), and Night on Bald Mountain (a Fantasia adaptation). It other words, it’s getting real. Predictably, not everyone is a fan. 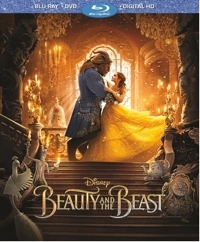 More audience members (83 percent) liked 2017’s Beauty and the Beast than critics (71 percent), but if you read between the lines you’ll see that the naysayers are mostly purists who think that nothing can compare to the 1991 film many consider to be the high point of Disney animation—one that, like The Lion King, inspired a Broadway version. Additional objections came from closet homophobes who took exception with the slightly flamboyant performance that Josh Gad (Olaf, in Frozen) gave of La Fou, sidekick to the film’s egotistical, intimidating villain. But hey, he’s a musical theater guy, this is musical theater, and children will see in his performance the same kind of second-fiddle comedy as his cartoon counterpart provided. Our family watched Beauty and the Beast separately—my son, on his college campus; my wife and daughter, at a local theater; and me, when it finally came out on Blu-ray this week—but we all had the same reaction: We loved it. Disney excels in creating movie worlds, and to create this one they decided against straight live-action and incorporated 1700 visual effects using both old and new technology. 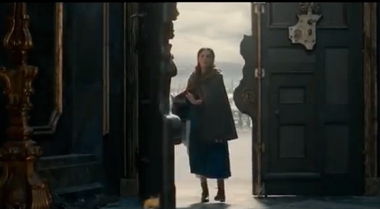 Watch a bonus feature and you’ll see Dan Stevens, who plays the beast, decked out in a full-body motion-capture suit, and you’ll see Emma Watson as Belle sitting at a table full of objects—the only actor in the room, because all of the other characters were CGI. But you’ll also see green screen work and matte backgrounds, and the combination of old and new techniques fashion a world that’s live-action but still altered reality—timeless, fantastic. I’m curious: Is there a kid in America who hasn’t played with Legos? Since 1949 the Danish company has cranked out those distinctive, colorful plastic building blocks that really took off as a kid craze when the company began producing theme sets tied to history (knights, pirates, robots, Vikings, cowboys, dinosaurs, etc.) and movies (Batman, Star Wars, Harry Potter, etc.). Lego stores are everywhere. At Downtown Disney in Orlando a giant Lego dragon rises up out of a manmade lake, while in a downtown Chicago Lego store an elaborate model of a downtown city block is on display. And some airports and trains have dedicated Lego sections where children can play. With Legos so culturally huge, the stage was set for The Lego Movie (2014) to do for Lego lovers what Wreck-It Ralph did for video-game lovers—and it didn’t disappoint. 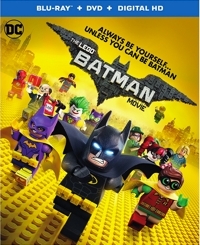 In that first film, Batman (voiced by Will Arnett) was surrounded by a bevy of characters from other theme sets, though another figure was the unlikely hero. In The Lego Batman Movie the focus is totally on the Batman-Superman DC world, with guest villains popping up from other pockets of pop culture (say that three times fast). The result is dazzling, and the second film is easily as good as the first—possibly better.